This is a big milestone for ForgeRock and the OpenAM project, an open source WebSSO, Authentication, Authorization, Federation and Entitlements solution. 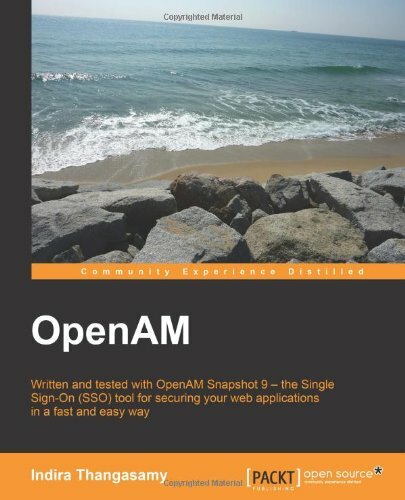 After months of development (a few more than we anticipated), we’ve finally released OpenAM 10.0.0, a major version of the product. OpenAM 10 brings a set of new features, including support for OAuth 2.0 client authentication, the ForgeRock Identity Gateway (built out of project OpenIG), enhanced SAML 2 identity provider capabilities, a new Risk Based Authentication module, … It also now relies on OpenDJ 2.4.5, the latest stable release of OpenDJ the open source LDAP directory server, and supports the internet-draft based LDAP password policy. You can find more details in the press announcement, or the product release notes. The documentation of the OpenAM 10 release can be read at http://docs.forgerock.org/en/index.html?product=openam&version=10.0.0. The OpenAM 10 release owes a lot to the OpenAM community, for the issues raised : a total of 41 issues fixed in OpenAM 10 were raised by 26 different persons, and for the generous patches offered to fix over a dozen of these issues. To each and every contributor : THANK YOU ! Pat Patterson reminded me of a conversation he had at OSCON 2009 with Jack Adams about OpenSSO. Luckily, the discussion was captured in video. During the conversation, they talk about OpenDS as well. Thanks for the plug, Pat ! I’ve just spent a wonderful week in Porto Alegre, Brazil where I’ve landed to talk about OpenDS at the FISL 10 conference. This is my first visit in Brazil and I must say that I didn’t get any good impression of the country in the first two days. As a matter of fact, I didn’t get any impression at all. I arrived on Monday evening around 9pm, it was all dark. After more than 16 hours of traveling, I just wanted to hit a bed. On the Tuesday morning, thanks to the jet lag, I got up quite early, checked email and went for breakfast by 7am, noticing a rainy day and still pretty dark. I was just done with the breakfast when Bruno Souza arrived and took me to the location of the Javali meeting, an ancillary event of FISL, sponsored by Sun and organized by SOU Java and RS JUG. We spent the whole day in the conference room, watching from time to time through the windows the heavy rain and wind. The Javali talks ended with pizzas and guarana and by then the night was already dark. While I didn’t get to see how Porto Alegre looks like in the first days of my visit, I did enjoyed the friendliness of Brazilians. At Javali, trying to follow the presentations in Portuguese was though but I think I got probably 50% of the technical parts thanks to the mix of english words and to my understanding of Spanish. And when it was necessary, Bruno or Mauricio Leal would do some translation for us. I didn’t get to talk at Javali, the agenda was pretty full and I hadn’t told Bruno I would be coming as I wasn’t sure I could make it. But Pat Patterson presented Securing RESTful Web Services with OpenSSO (and OAuth) and mentioned a few times OpenDS. Wednesday was the first day of FISL and all the Sun participants went quite early to help setting up the booth in the Exhibition Hall. Sun’s booth was very well located and its main attraction was the thousands of small soccer balls that were given to attendees that registered to the OSUM program. I think that throughout the whole event, the Sun’s booth was the most vibrant and busy one, with Roger Brinkley making demos with his toys, Angel Camacho, Brian Leonard, Kirthankar Das and others helping with installs of OpenSolaris on attendees’ laptops. Arun Gupta fired the event on Wednesday morning with his presentation demonstrating the combined power of GlassFish, MySQL and NetBeans to build web applications. Friday was the busiest day for me as I was scheduled for 2 presentations. But before that, I was invited to participate in Simon Phipps talk show, describing in 5 minutes, what was OpenDS, what were the benefits for the Brazilian open source users and developers. LDAP Front-end access to MySQL Cluster’s network DB. While FISL is mostly attended by students, my session had a majority of System Administrators, interested by simplifying and reducing the cost of their data-centers. Later in the afternoon, I was presenting again, repeating JavaOne’s presentation from Tony Printezis and Charlie Hunt GC Tuning In the HotSpot Java Virtual Machine. Charlie was meant to attend the event, but the week before found out he could not make it. As they recalled I was in the room at JavaOne and I’m quite familiar with the subject as we’re spending a lot of time trying the different options to tune the JVM to get the best performances out of OpenDS, they asked me to cover the talk. I think I’ve done a reasonable job, despite the density of information in the slides, and the simultaneous translation in Portuguese for the largest part of the crowd not so familiar with English. Still on Friday, part of the exhibition floor was closed to the public as the Brazilian President, Lula Da Silva, was schedule to visit the event. Sun booth was very well positioned, on the border on the closed area and the crowd started to gather by the booth as President Lula arrived. The excitement was amazing. When the President reached by the OpenSolaris Brazil user group, he received an OpenSolaris cap and T-shirt from Vitorio Sassi, Sun employee and one of the leaders of the Brazilian OpenSolaris community. Photo taken by Ludovic Poitou, June 26 2009. On Saturday and last day of the FISL conference, I got to share a little bit more of the stage by answering a performance related question from the attendance on Bruno Souza’s session about the future of Java,with the exceptional presence of Javali, the mascote for the Javali user group. I’ll definitely participate to the Call For Presentation next year, if evangelism of the OpenDS project is still one of my tasks for next year. You can find all photos for the event in the FISL 10 picasa album.